As SharePoint consultants, we don’t always have the luxury of building our farms and the site structures from the ground up. Sometimes we walk into a situation where the farm and sites have already been up for several years. However, having a well-planned Information Architecture is critical for any successful SharePoint implementation. As SharePoint gains in popularity and use, sites are created as one-offs, and after a while our environments start to run wild. Sites are created without our knowledge or placed as sub-sites of other sites where they don’t really belong. The power of SharePoint to make web technology accessible to the average information worker is also one of the biggest elephants in the room when it comes to proper and successful implementations. At some point, whether you are designing the information architecture for the first time or you are going through a regular audit and review of your site structures, you’ll need to get the big picture. What sites are where? How do you start the conversation with management that site sprawl is affecting the usability of the system? When dealing with management, the one thing I’ve learned is that they don’t want to see code or lengthy documents. If you can’t get your point across in 2 minutes they’ll tune out. So you have to start the conversation with a visual tool. A graphical representation of the sites and subsites in a web application would be the perfect tool to give the 50,000 foot view of your sites. Unfortunately we don’t get that out of the box with SharePoint. However, this sort of diagram is easy to create with a little bit of PowerShell know how and some Visio diagramming wizards. We’re looking to create a Visio diagram that makes it easy to visualize site and subsite structures. The diagram should have relevant and important data about each site. The layout should show how wide or deep our web application goes and allow us to find the sites that are buried deep inside out information architecture that should be brought up closer to the root. If our information architecture is too wide we should be able to identify sites that can be pruned or moved under other sites in order to properly categorize them and make them more visible to the end user. Nobody would want to create this diagram by hand. First off, imagine how long it would take if you had hundreds of sites. Second, unless you have extremely tight governance controls already in place, the document would be outdated even before it was finished.The fist step is that we need to create a method of extracting the site hierarchy from the SharePoint farm that is easy and repeatable. This is where PowerShell is a huge help for us. We could also choose to select additional properties of the SPWeb, it really depends on what other information you want to have available to you in the final Visio diagram. To link all of the Site Collections to the root Site Collection, replace all ParentWebID’s that are “00000000-0000-0000-0000-000000000000″ (minus the Root’s) with the ID from the root Site Collection. So, in our example, all of the sites after the first record with a ParentWebID of “00000000-0000-0000-0000-000000000000″ would be replaced by the ID of the Root Site Collection “5b8bbd9b-1cb4-4c8f-a624-b464d08cd32c″ (except as noted where the first record is concerned). Now that we have our data structured properly, save the file as XLSX so Visio can properly consume it as a data source. Choose “A text, Org Plus (*.txt) or Excel file, click Next. Browse to where you saved the XLSX file and click Next. Here is where the magic happens, instead of using the Employee/Manager relationships, we use ID for the Name, and ParentWebId for the Reports To fields. This screen will be different, depending on what properties of the SPWeb you selected in your PowerShell script. To keep it simple, I’ll just use the Title so that it will be the only label displayed on the diagram. For shape data fields, it generally makes sense to leave all the columns in there. This allows the Visio drill-down to be able to display all the relevant data about the SPWeb that you selected in your PowerShell scripts. So for instance, if I had included the site owner property in my properties select, I would be able to click on a website shape and see who the site owner of the web was. 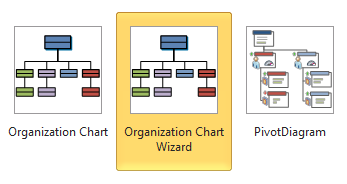 EDIT for Visio 2013: Don’t include pictures in my organization chart. For now, just keep the one page with your root Site Collection as the Employee at Top of Page and click Finish. Once the Visio Organizational Chart Wizard completes its processing, you should have a single page diagram with the root Site Collection at the top of the page, and all the various sites and subsites under it (just like an org chart!). Depending on how big your site is and your own computer processing power, this may take a few minutes to finish, so grab a cup of coffee and congratulate yourself on creating a great visual tool of your Information Architecture. Once the process completes, you should have a single page Visio diagram with the Root at the top and Site Collections and subsites connected underneath. Of course, when you select a particular site’s shape data, you can see all the additional information we chose to include from the SPWeb. NOTE: Article edited to update to Visio 2013. * All the public updates that were released through May 2013, and all the cumulative updates that were released through April 2013 are included in Service Pack 2. However, even though the June 2013 Cu was released prior to Service Pack 2, the service pack does NOT contain the fixes included in the June CU. In order to get the fixes included in June 2013 CU you must install both the June 2013 CU AND Service Pack 2. All the public updates that were released through May 2013, and all the cumulative updates that were released through April 2013 are included in Service Pack 2. However, even though the June 2013 Cu was released prior to Service Pack 2, the service pack does NOT contain the fixes included in the June CU. In order to get the fixes included in June 2013 CU you must install both the June 2013 CU AND Service Pack 2. Note :Obviously you use this at your own risk and discretion.But i tested in multiple servers and it works. Please read this post by Vignesh. There must be something wrong? Root cause : This is causing because of the search crawl is running at backend. That’s why Task manager showing that mssearch and mssdmn process are taking maximum CPU utilization. Note In the following sections, the placeholder Drive represents the letter of the drive on which you have your SharePoint application installed. Typically, this drive letter is C.
Note The WebTempDir folder is a replacement for the FrontPageTempDir folder. Note The search account creates a folder in the Gthrsvc_spsearch4 Temp folder to which it periodically must write. You should also exclude all the virtual directory folders under Drive:\inetpub\wwwroot\wss\VirtualDirectories and all the folders under Drive:\inetpub\temp\IIS Temporary Compressed Files. Any location in which you decided to store the disk-based binary large object (BLOB) cache (for example, C:\Blobcache). Note If you have SharePoint Server 2013, these folders should be excluded in addition to the folders that are listed in the “SharePoint Foundation 2013” section. Note The Applications folder must be excluded only if the computer is running the SharePoint Foundation Search service. If the folder that contains the index file is located elsewhere, you must also exclude that folder. Note The search account creates a folder in the Gthrsvc_spsearch4 Temp folder to which it periodically has to write. You should also exclude all the virtual directory folders under Drive:\inetpub\wwwroot\wss\VirtualDirectories\ and all the folders under Drive:\inetpub\temp\IIS Temporary Compressed Files\. Note If you have SharePoint Server 2010, these folders should be excluded in addition to the folders that are listed in the “SharePoint Foundation 2010” section.